The new Mac Pro: What can we expect from Apple in 2019? To see what the future holds, just look at the present. Exactly a year after Apple called a bunch of reporters to its headquarters to talk about the future of its professional-level Macs, the company is once again putting its stake in the ground. In an interview with TechCrunch’s Matthew Panzarino, several Apple executives have laid out the thinking behind the as-yet-unannounced Mac Pro, which is expected to debut in 2019. What’s more interesting than the Mac Pro’s existence, however, is the approach Apple is taking to building it: bringing in actual pro users to see their workflows and figure out how to best accommodate them. It’s a side of Apple that, publicly anyway, we’ve rarely seen. But, as you might expect from Apple, details on this new Mac Pro are still being kept tightly under wraps. But there are some tea leaves we can read based on Apple’s previous and current forays into the pro-level Mac market. The Mac Pro wasn’t the only product whose existence was revealed by that meeting a year ago: Apple executives also confirmed that souped-up iMacs and the iMac Pro were on their way, and they both arrived in due course last year. Apple has said that a future Mac Pro will be modular, unlike the iMac Pro. It is, of course, possible that the company will produce something closer to the popular tower form factor. 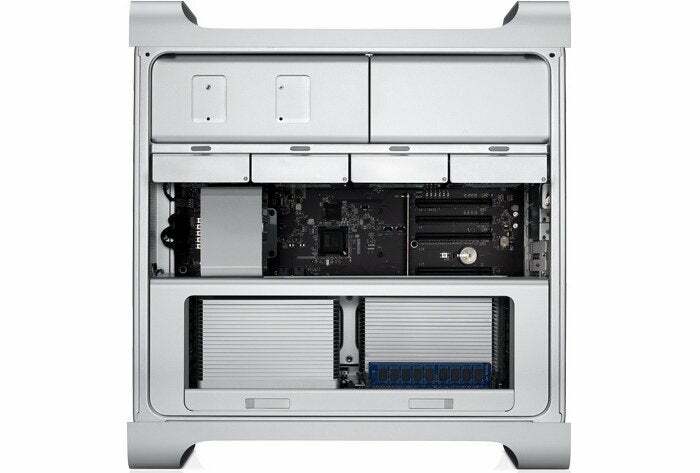 But that was in turn based on the Power Mac G5, which dated from 2003, and I think it’s safe to say that the company would not be eager to return to a design that will be some 16 years old by the time the new model debuts. It’d be like releasing a new iMac based on the iMac G4. There may be some broad thematic similarities, but don’t expect them to simply dust off the old design. Though I’ve owned a few professional-level Macs over the years, I don’t know that I would consider myself a true “pro” user these days. My main work machine is a 2017 Retina 5K iMac, and while I mainly use it for staples like writing and web browsing, I do occasionally take advantage of its horsepower while editing one of several of the podcasts I produce in Logic Pro. That said, most of even my heaviest usage would likely fall into the “prosumer” category. The 5K iMac has proved more than sufficient for my needs, and the iMac Pro would likely be comical overkill, given how much more power it brings to bear. And yet, it seems likely that the Mac Pro will be even a cut above that. TechCrunch’s story says the company is focusing on things like video editing, 3D animation, and music production, all notoriously horsepower-intensive tasks. All of which is to say that this can rightfully be expected to be a machine that is incredibly powerful. Way, way above the needs of most users. After all, Apple has to leave some room below it for both the iMac Pro and the 5K iMac to exist. 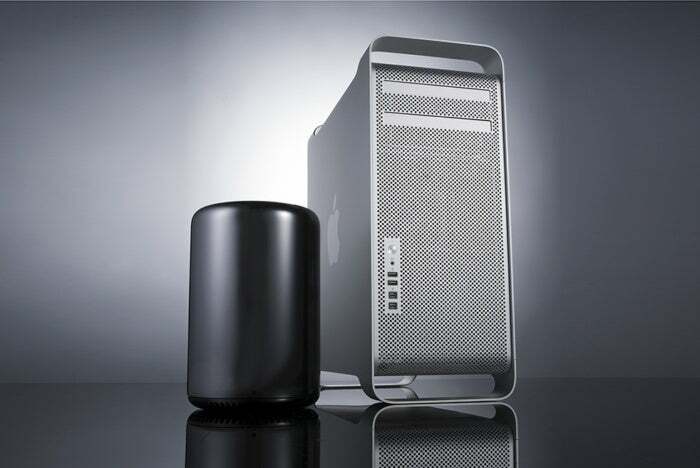 The ability to add parts and upgrade components contributed to the tower Mac Pro’s popularity. Extrapolating based on Apple’s current pro-level offerings suggests that we would likely see something built on Intel’s line of Xeon processors, perhaps even the recently announced Xeon Scalable chips. (This is despite the rumor that Apple will transition the Macs to ARM-based processors in the next few years—if that does happen, high performance machines like the Mac Pro would likely be the last to make the jump.) Fast RAM, fast SSD storage, and a full array of ports seem like shoo-ins as well. But modularity is still a key element of the new Mac Pro’s story, not only so that Apple makes it easy for pros to continuously upgrade their experience but because it takes some of the pressure off for Apple to itself release regular updates. Perhaps the most frustrating aspect of the previous generation Mac Pro was that Apple let it lie fallow for so many years and that third-party upgrade paths for users were limited. Commitment to the Mac Pro doesn’t necessarily mean that Apple binds itself to regular updates of the product—though transparency on that front would be advisable—but it does mean acknowledging that these are machines that customers will use heavily and for a long time to come and planning accordingly.